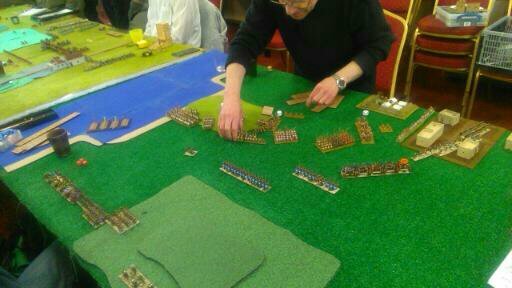 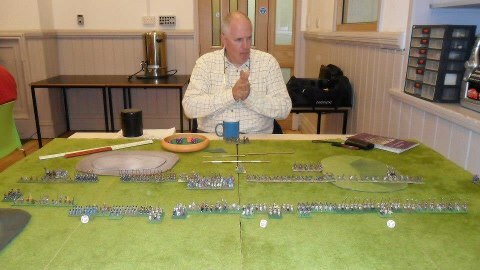 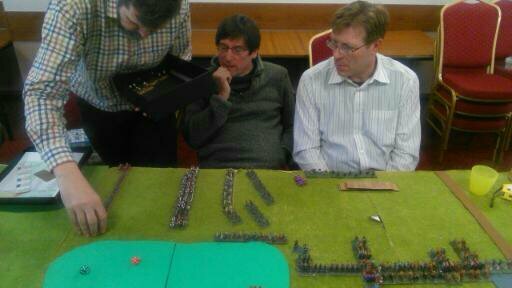 Keith chortles and rubs his hands as he examines the enemies initial set up and his throw of three good dice . 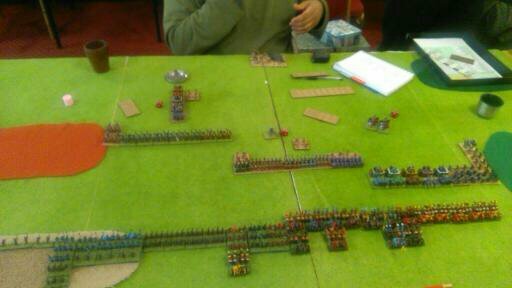 This Thursday’s game of DBMM is about to begin. 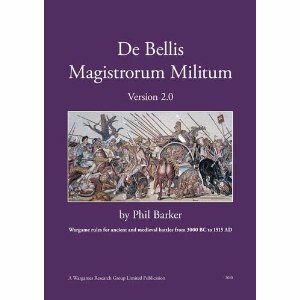 We still have a substantial team of 15mm ancients players who follow the family of games of De Bellis Magistrorum Militus or DBMM II. 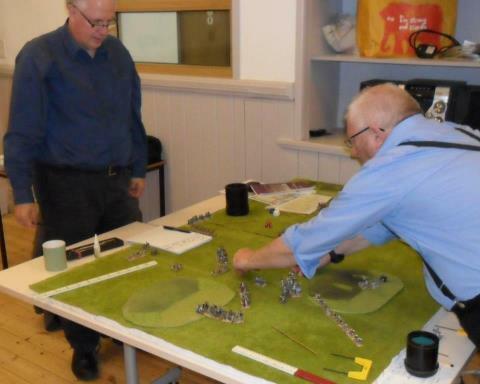 It all started long ago with the brilliant De Bellis Antiquitatis (DBA) Ancients Wargame Rules 1.1 and then came the evolution……of Wargames of ancient battles 3000BC to 1550 AD. 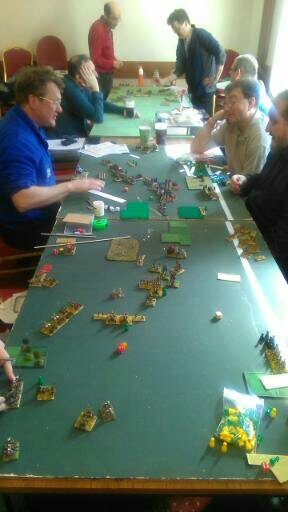 DBMM-15mm Medival war as two Indian armies fight it out. 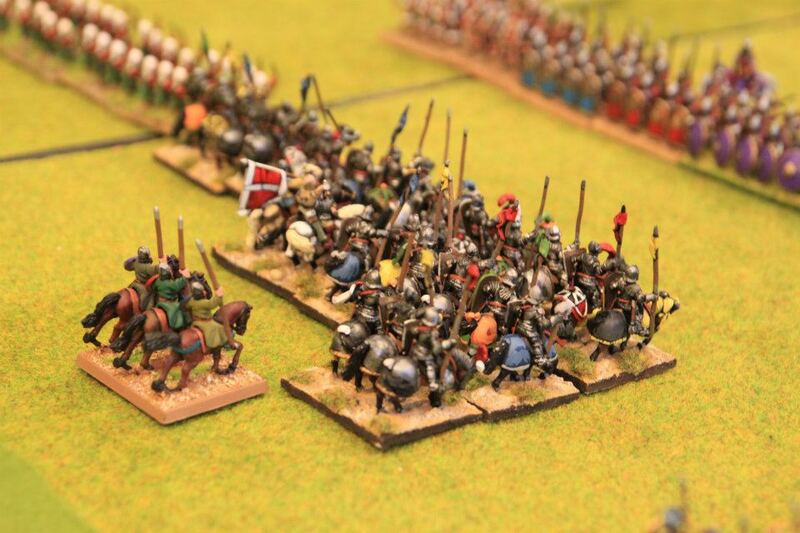 DBMM-15mm Medieval war as two Indian armies fight it out. 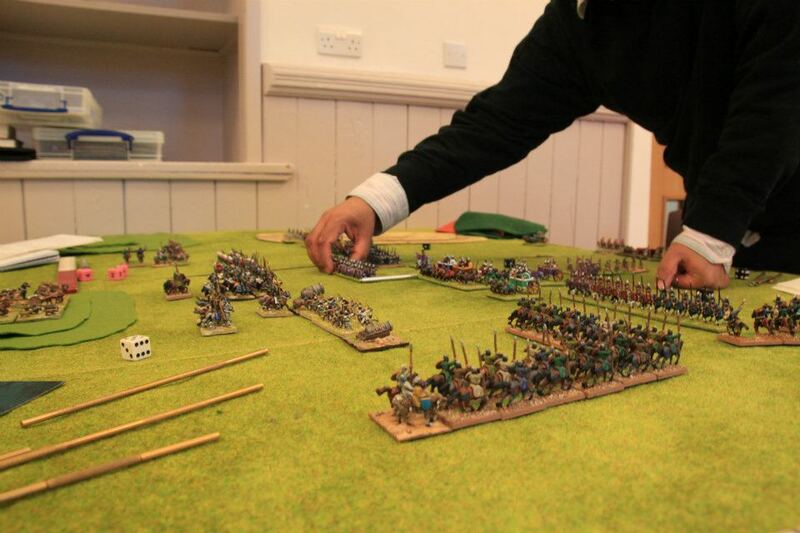 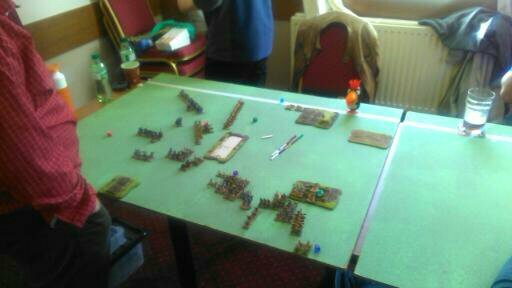 Chris’ and Keith take the jumbos out for a ride using DBMM rules on Thursday 7th June at the Headingley games club. 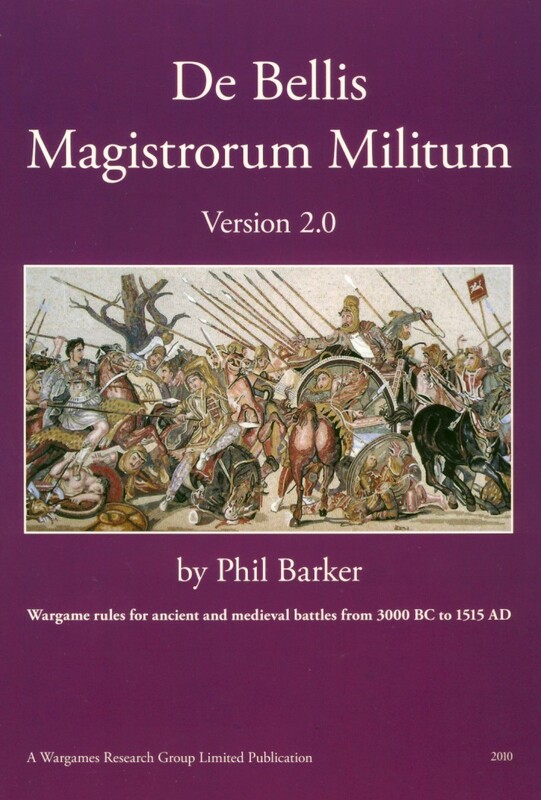 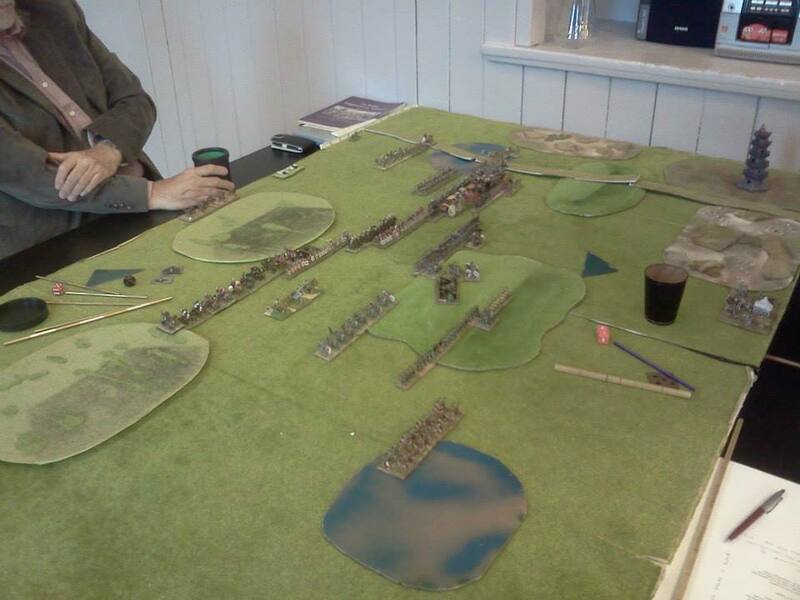 De Bellis Magistrorum Militum (DBMM) is Wargames Research Group’s WRG rule set. 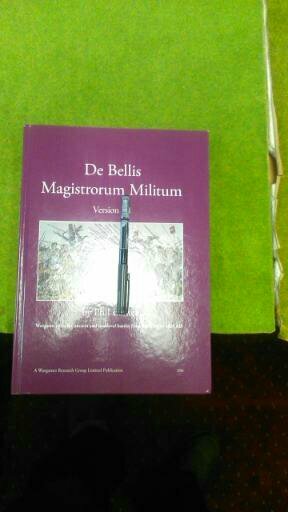 We still have a team of ancients players who follow the family of games of De Bellis Magistrorum Militus or DBMM II. 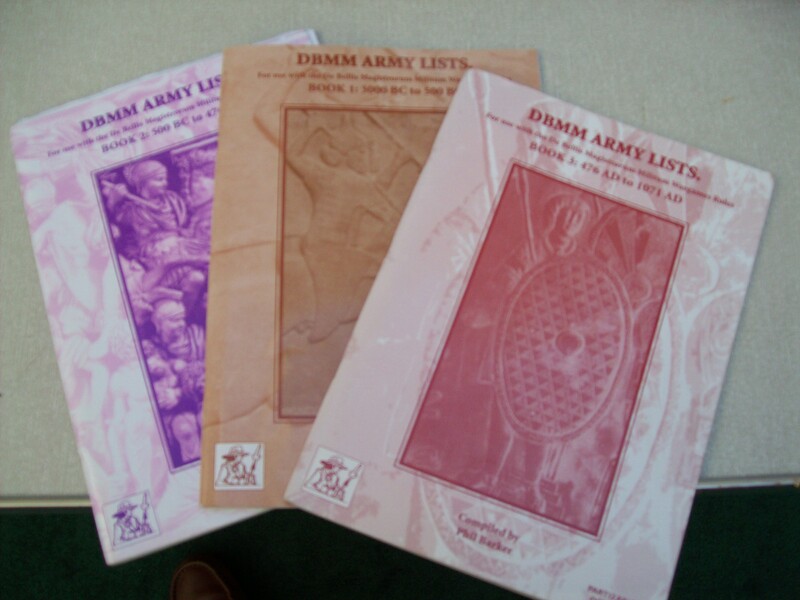 It all started long ago with the brilliant De Bellis Antiquitatis (DBA) Ancients Wargame Rules 1.1 and then came the evolution……of Wargames of ancient battles 3000BC to 1550 AD.